Hello Crafty Friends! Are you Egg-Cited for Easter? :) I have a Metallic Copper Card to share along with some helpful LINKS to shops around the Globe that carry Sue Wilson's Products! 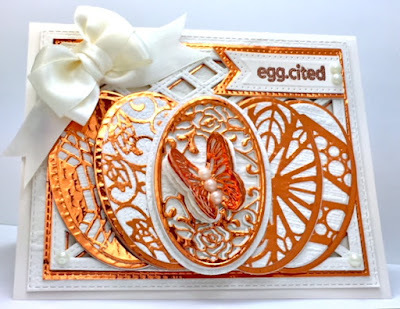 Love this DP by DCWV Designer paper series - It is a lovely bright metallic Copper. I've gotten a little crafty with these fun patterned eggs that were created by die-cutting out patterns from multiple Sue Wilson craft dies then using one of her ovals to cut the eggs out of the patterns. Here are the SW dies used; (Butterfly Frame Bg, Scattered Leaves BG, French BG, Classic Adorned Octagon, Thank You Expressions Die, Rose Oval and Pierced Flags from the Frames and Tags Dies Collection. The Eggs are multi layered and cut from Copper Metallic DP and Textured Cream Wallpaper. (yes-you read that right, wallpaper!) I love the various textures you can find in gigantic WallPaper rolls! A little spray adhesive on back of the wallpaper will hold it beautifully onto your Cardstock! I've layered the eggs across the Stitched Lattice Frame diecut (from Sue's Shadow Box Collection). 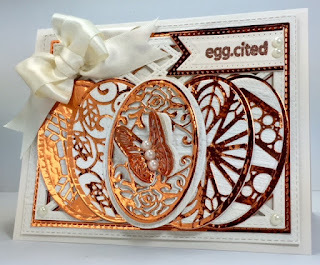 The CTMH sentiment was stamped in Versamark Ink then heat embossed in Copper Embossing Powder. Card was topped off with a fun SW Butterfly that is also multi-layered for dimension. Finished off with some Satin Ribbon for the bow and Recollections pearls. Lots of fun multi-cutting these Die-Cuts that were multi-layered for depth and dimension. Lots of fun layers and textures that show off nicely with contrasting Kraft on White. 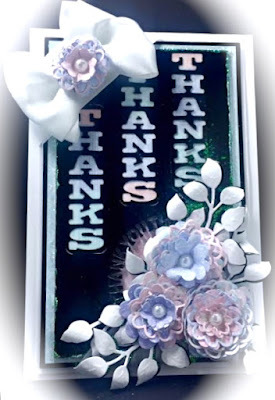 Accessories: CE Perspectives Thank you Circles Craft Dies by Sue Wilson, Butterfly Dreams Embossing Folder - also by Sue Wilson. Finsihed off w/mini-Rhinestones. FIND Sue's "Crafting My Style" Tutorials on YouTube, HERE! WATCH Sue Wilson on Hochanda TV! NOTE - The above Hochanda times are in UK's BST time zone. So they are 5 hours ahead of USA's EST time zone. HERE is a helpful link to a World Clock Time converter! For your Crafty Convenience, here are some Helpful LINKS to shops carrying Sue's products! Carrying Sue Wilson's Products. Just click on these Store Logos to go directly there! AND LASTLY, are you a Sue Wilson FAN like ME? Then hurry on over and come VISIT Sue's FANS Facebook PAGE here! It is called;"Sue Wilson Fans in the USA and around the Globe"
Fabulous creations! 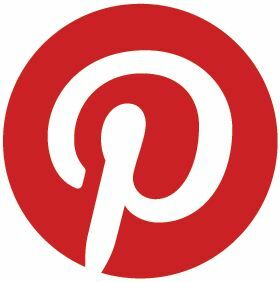 Thank you for sharing with us over at The Creative Crafters! Hope to see you again! Hello! 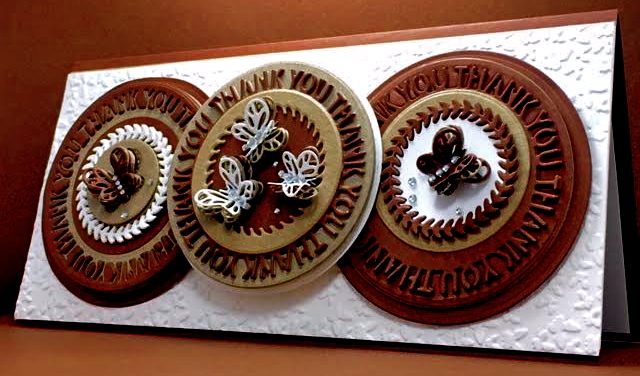 You have been busy, what wonderful die cut creations.Thanks for joining us at Through the craft room door this week. Beautiful cards - love the dimension on the last one!